18 holes, 72 par, 6802 yards. Parkland. VillaNueva Golf has become one of the most popular courses in the golf-rich region of Cadiz. 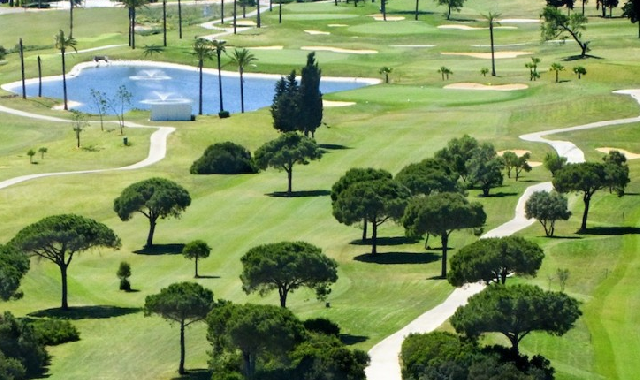 VillaNueva is a fantastic parkland course that boasts wide fairways, fast, smooth greens and views of the Bay of Cadiz. Its open layout, stretches 6.220 metres off the back tees. At first glance appears to be relatively straightforward but the 6 Lakes and Links style bunkers provide a healthy challenge for any golfer.